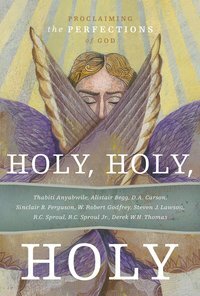 On the eve of attending my 1st ever Ligonier National Conference tomorrow, I received Holy, Holy, Holy: Proclaiming the Perfections of God – last years national Conference addresses. With lectures by R.C.Sproul, SinclairB.Ferguson, StevenJ.Lawson, Alistair Begg, Thabiti Anyabwile, D.A.Carson, W.Robert Godfrey, Derek W.H. Thomas, and R.C. Sproul Jr. These lecturers help unfold the character of God and His holiness that sets Him apart. Here is high theology in understandable language, bringing deeper knowledge of God and promoting love for Him. Missed last’s years conference, did not get a chance to listen to the lectures online? Get a copy at Ligonier for $14.40. As far as this years conference that I cannot wait to attend – what is it I am looking forward to most? #1 Derek Thomas, this guy can preach the Bible. There is something about him that when he brings “Thus saith the Lord…” you can just feel it in your bones. #2 Seeing my friend Burk Parsons preach the Word for my 1st time live. #3 Listening to the Wisdom of an old saint of the Christian faith, R.C. Super bummed about missing the conference this year! Had to back out b/c of work, but thankful to be sending my younger brother in my place. And I agree those are 3 great reasons to be excited about the conference this year!